Fisheye can render Wiki Markup in commit messages. You can enable or disable this either globally, for all repositories, or for individual repositories. When using Crucible, you can also have Wiki Markup rendering in review comments and review descriptions. Click Repositories (in the left-hand panel) and then the name of the repository (in the 'Name' column). 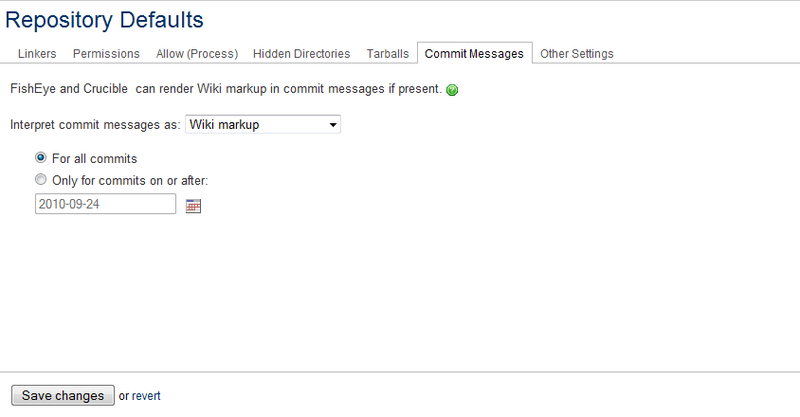 Commit messages can be displayed as Plain text or rendered as Wiki markup. Rendering can be limited to commits made after a specified date, if required. 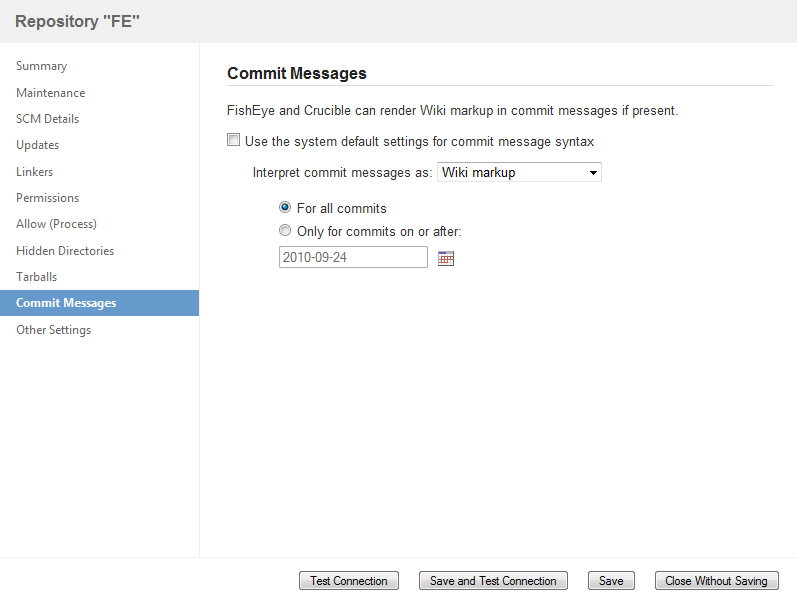 In the Fisheye admin area, click Defaults (in the left-hand panel) and then the Commit Messages tab.